Today, I got to cross another thing off my bucket list! 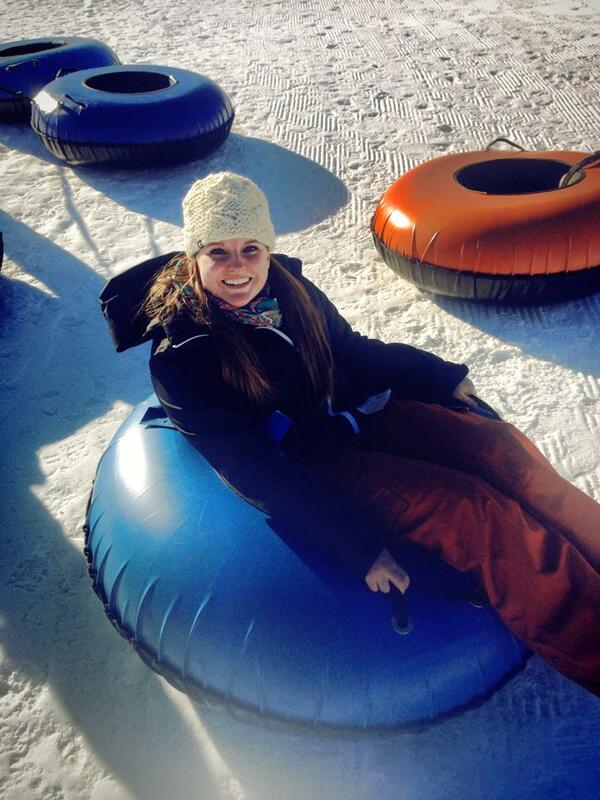 I went tubing at Gorgoza Park near Park City, UT. Basically, it’s just like sledding on a tube. There were not too many people my age going without kids, but hey! I am a kid and I have no shame. The weather was pretty awesome too! Cold, but not too cold or windy. We tried out the lower slopes as a test run. I found out I wasn’t scared! Not nearly as scary as skiing… probably because you couldn’t necessarily fall off or hurt yourself unless you tried. Even if you tried, it would be pretty hard. My mindset is, “if these 4 year olds can do it, I can too!” but that was my mindset for skiing too which didn’t exactly help my situation. This is more of a photo blog post, just to document my adventure. Next weekend, Brighton and I are going to the Ice Castles! I’m not entirely sure what to expect for that but isn’t that all part of this adventure? I’ve decided that this Utah experience is a total-life experience. I’ve never moved away from my friends and family, not even for college since I still had my best friends around. I’ve never moved to another state away from a single person I know. I’ve never lived in a cold climate… or anywhere that has had seasons for that matter. Florida is just hot and slightly less hot. I’ve also never had a full time job where I didn’t get a daily afternoon nap. I’ve never not been in classes either. It’s a strange point in my life right now. I feel in-between. I’m not in classes, but I’m not yet graduated. But I am extremely happy I took the chance on this internship to move out here and experience an entirely different world and part of the country. It’s valuable in many ways and it’s given me a chance to grow in ways that Gainesville just can’t anymore. I found out a country music star is coming to the country club here on Thursday night for only $5! That’s awesome, and I even know some of his songs. Maybe I can convince my roommate to go with me! That’s all for this Sunday night!